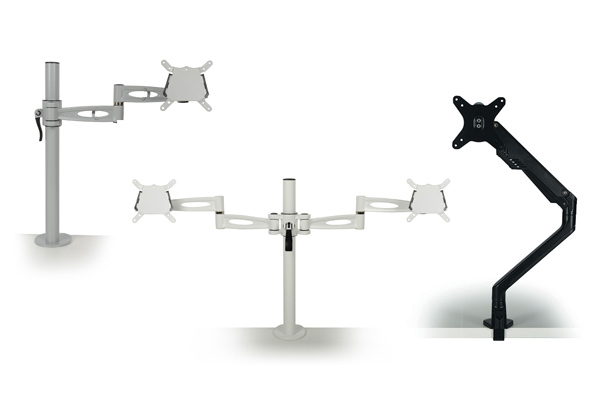 The Libero gas lift monitor arm is a fully flexible, slim line, single screen monitor arm. 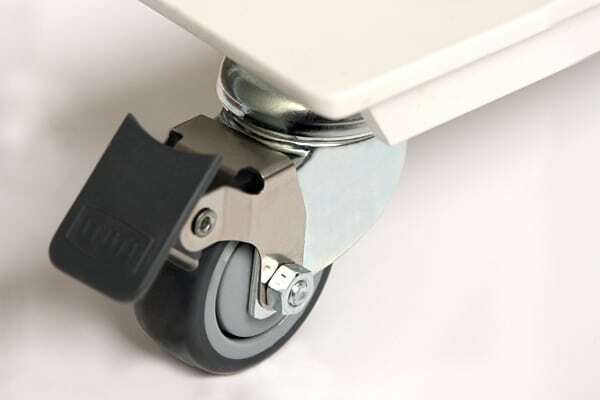 Simple and easy to install with the clamp tightening from above the desk. Available in three colour choices white, black and grey. Monitor areas help create an ergonomic working environment that improves posture and movement as well as freeing up desk space. Height adjustment ranging from 175 - 480mm. Extends forward up to 535mm. 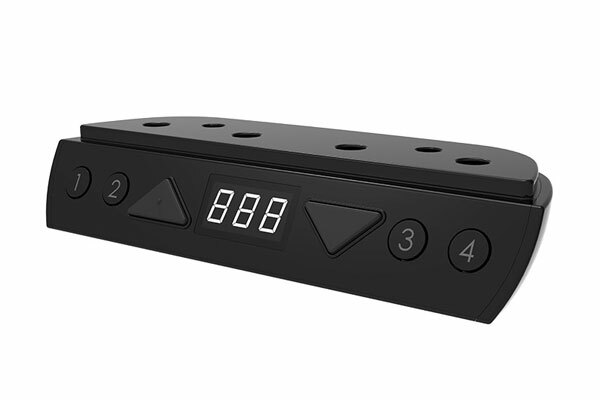 Rotates up to 180° to allow you to tilt your screen away from sunlight etc. Clamp fits desks up to 45mm thick. Ergonomics and workstation posture certified by FIRA - BS EN ISO 9241. Available with either a C-clamp desk attachment or a through-desk attachment for use with cable ports. 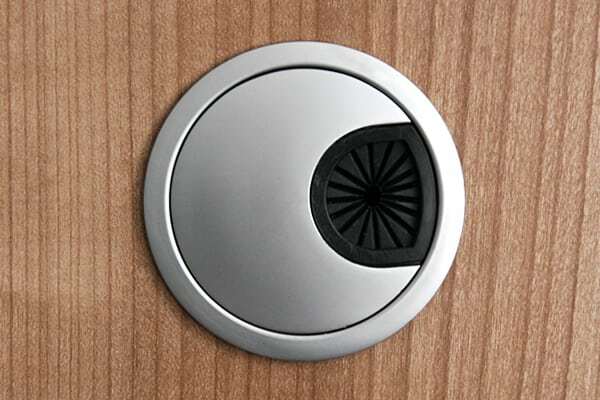 Supplied semi-assembled with easy-to-follow instructions and thumb turn screws. Optional upgrade dual monitor rail. 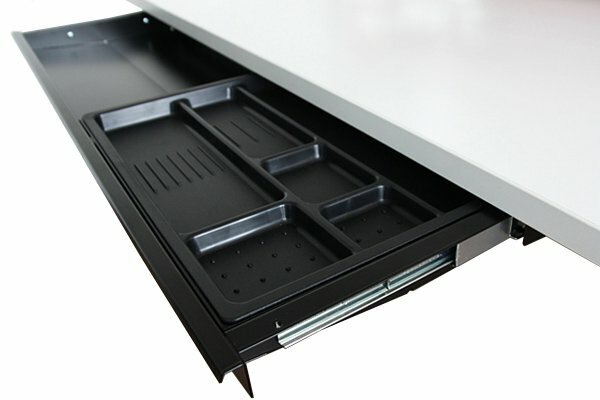 Detachable with 2 VESA plates fitted with a quick release system. 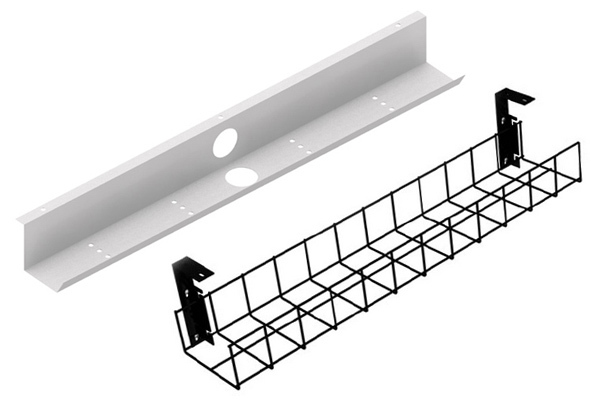 Dual rail accepts 2 VESA ready flat screens (max 27") weighing up to 4kg each. 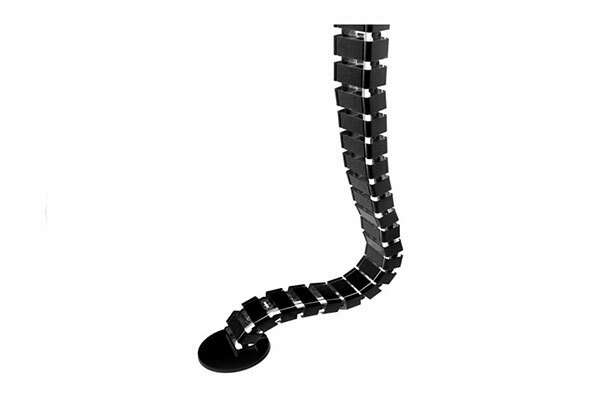 Flexible monitor arms help create an ergonomic computer set-up for one or multiple monitor screens. Especially important with a height adjustable desk when you’re alternating between sitting and standing positions. 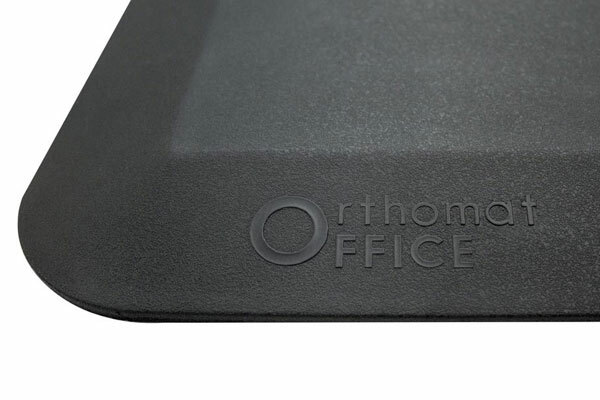 They provide flexibility so that your screen can be properly positioned to enable you to work more comfortably and help prevent back and neck pain. Especially important when working at a height adjustable desk, regularly alternating between sitting and standing positions. Points to consider when choosing a monitor arm are: suitability for your monitor size and weight, ease of installation, adjustability, cable management options and of course, cost!